Organizein Is a Google Partner! Yes, we are a Certified Google Partner Company! At OrganizeIn, we’re proud to announce that we’re a partnering agency with Google. We wear this (literal) badge of honor as an accreditation, that offers our clients several advantages they may not benefit from otherwise. A certificate that highlights our expertise and proven ability to deliver optimized advertising in a Google-dominated digital landscape. A partnership that certifies our knowledge and expertise in PPC and Google AdWords. What does the Google Certification Advantage mean? You get to work with a team that’s trusted by the biggest player in online advertising. The certification vouches that we meet Google’s standards for account management best practices and all certifications are current. Well-versed in all features and usage of AdWords and in a way that is advantageous to the client. Making us an attractive prospect for clients who want to maximise their online ad spend. Early access to Google’s beta features, developing expertise before your competition! A team with a proven track record of success in generating low-cost, high-impact AdWords and PPC campaigns that reach the right people through the right channels. Direct access to the Google Agency Team at times, helping address problems and improve strategies. We get to know the ins and outs of the various Google products, best practices, and applicable strategies for each. Partners are able to attend training sessions to keep up with the latest PPC practices, that include AdWords Fundamentals, Search, Display, Shopping, Video and Mobile Advertising. 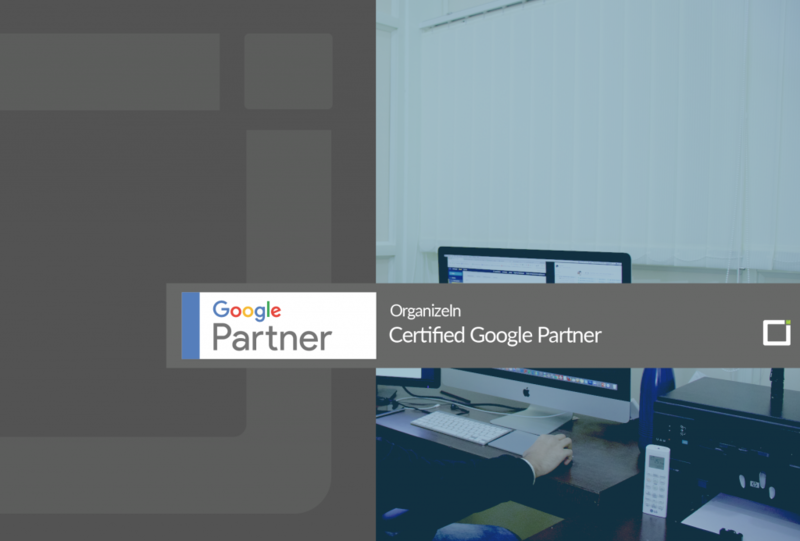 The Google Partner Badge shows that you have proven yourself to the highest digital authority going. Google requires Adwords Partners to employ best practices and encourages ongoing experimentation by targeting the various demographics that fall into a target market. All this ensure that a high standard of service is maintained long after the Partner Status was first achieved. When you choose to work with OrganizeIn, you get an agency that is not only approved by Google—you get a partner that offers its own guarantee of high-quality service. Being a Google Partner not only means we are trusted by the biggest name in the business, but also that we’re always looking for new ways to maximize the benefits for our clients. We want our users to achieve the best possible results and being Google Partners ensure that we keep up to speed with best PPC and AdWords practices. These include the use of different keywords, conducting split testing, and experimentation in targeting specific demographics that come under a client’s target market. Digital Marketing Services from Organizein help businesses build a strong web presence, extend their reach and stay ahead of the competition. Our dedicated team of experts are committed to quality and best-in-class service delivery.